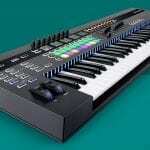 Are you in the market for a Pioneer controller? Fantastic! Which one are you going for? DDJ-SB3? DDJ-RR? DDJ-SZ2? We know, it can be confusing. There are currently over half a dozen Pioneer DDJ controllers on the market right now, all of which have qualities to suit the entire spectrum of DJ needs. Whether beginner, hobbyist, mobile, roadshow or club – this Pioneer DDJ comparison chart is here to make it easier to see where these controllers differ. In the last couple of years, Pioneer DJ have released DDJ controllers that replicate the features of a current version, however with the Pioneer DDJ comparison chart below you’ll realise the reasons why they have done this and how the entire range is harmonious, making it easy to progress through the range from the smaller controllers like DDJ-400 up to bigger controllers such as the DDJ-1000 and DDJ-RZ. 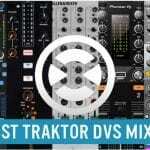 What is the best all-in-one Pioneer DDJ controller? This is the impossible question, our staff would be rolling around in fancy sports cars if we had a quid for the right answer. The real truth is dependent on many different factors including software, do you prefer to use Serato DJ or RekordBox DJ?Also, you may find portability the most important thing. Whilst all of these controllers are self contained, not all of them will fit into a carry-on rucksack. If you wanted something with 4 channels for 4 faders, you’d be looking at a completely different side of the range and so on and so forth. Finding the best Pioneer DDJ controller for everyone is an impossible task, which probably explains why no less than 8 (eight!) different models are out on the market right now. The Pioneer DDJ Comparison chart you see below has over twenty different attribute comparisons. This may be something as simple and straightforward as the overall dimensions or what software they work with. 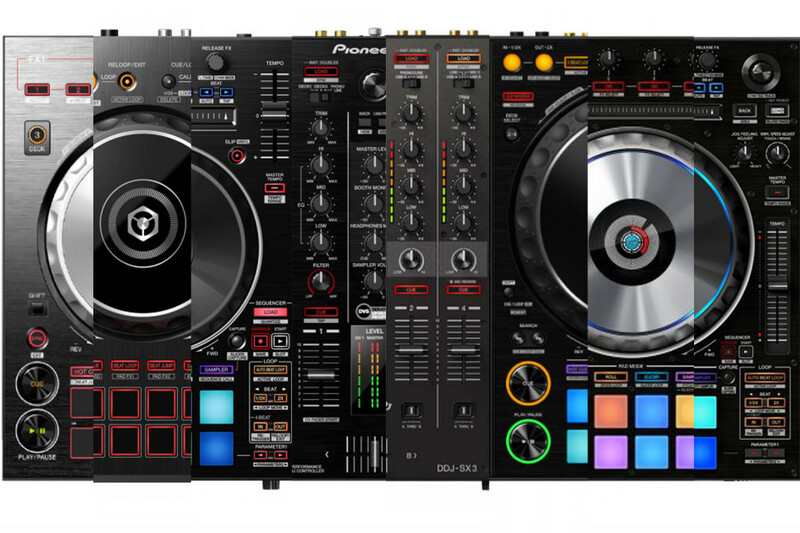 What we have also included in the comparison are some of the features which may break or seal your fate with your next Pioneer DDJ controller. Features like jog wheel and pitch fader sizes. Why are they important? Some DJs want a larger jog wheel to replicate the club standard Pioneer CDJ-2000NXS2, which has the largest type jogwheel Pioneer make (apart from the vinyl brothers: PLX-1000 and PLX-500) so this feature is an important comparison point. Equally some DJs may prefer a smaller jog wheel as the pad style may be more important to them. Another feature we have included within our Pioneer DDJ Comparison chart is whether or not the controller can be bus powered. If you’re running light on power (or completely mobile, on a beach or festival for example) you’d certainly prefer a controller that can be USB powered, without the need of a wall-wart power supply. Another feature asked by many is product weight; especially for DJ’s who travel, or need to factor in a flight case weight before making their decision.